All these fortified sites exerted a great influence on the campaigns of both Imperial and Allied armies, and several sieges were conducted during the Penisular War. My interest for this topics started after the reading of the excellent Osprey book 'Fortresses of the Peninsular War 1808-1814' by Ian Fletcher and Chris Taylor. 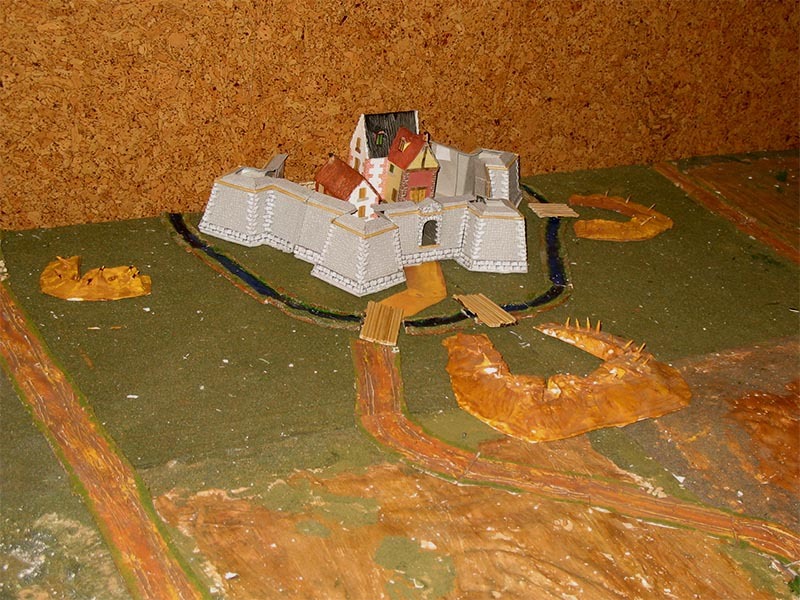 Almeida is hexagon-shaped and in Napoleon Series and The Peninsular War web-sites there is detailed information about the fortress and, very important, there is indication of the plan and terrain scale and therefore of the size of the fortifications of the enclosed town. The built-up-areas (BUA) used in my games are 13x13 cm (5.5x5.5 in) squares, and since Almeida is a middle size town, the resulting fortified recint will contain an only square. As the fortress must be modular (for an easier use), I decided to built a regular hexagon-shaped fortress with 6 identical bastions. To draw the trace of the bastion, there are several we sites containing information about it. 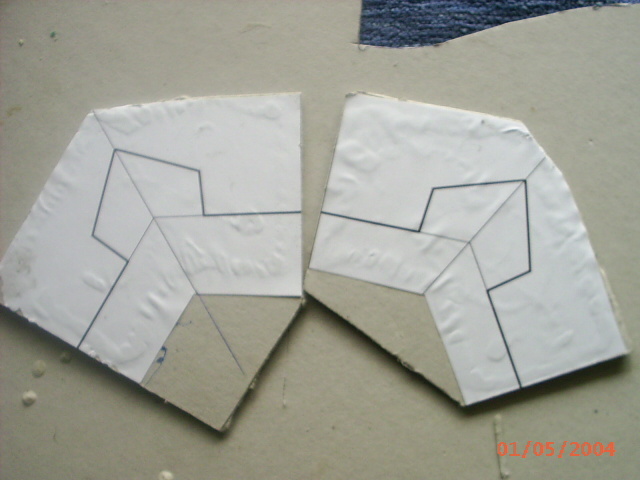 I have a combination of several methods, whose result is the attached scheme which corresponds to a basic bastion. 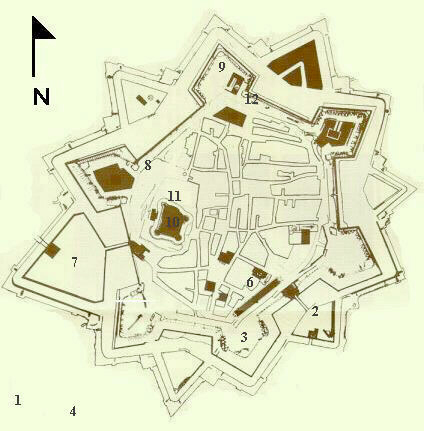 The complete fortress has two full bastions, four incomplete ones, a plain curtain piece and a gate piece, according to the attached scheme. 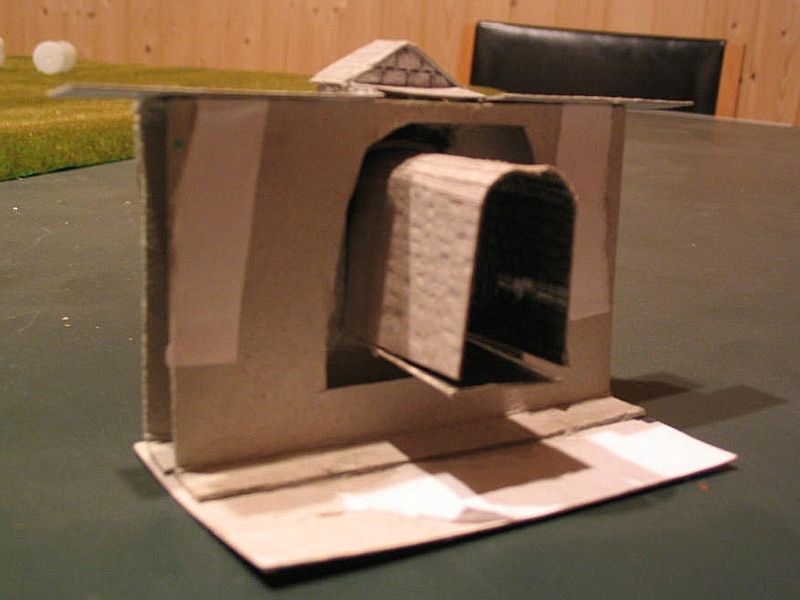 Optionally, a breached curtain piece and a ruined bastion can be also built, to allow the simulation of a siege. The fortress is completed with the external ditch, the glacis and one or more ravelins, whose object is to protect the curtains and the gate. 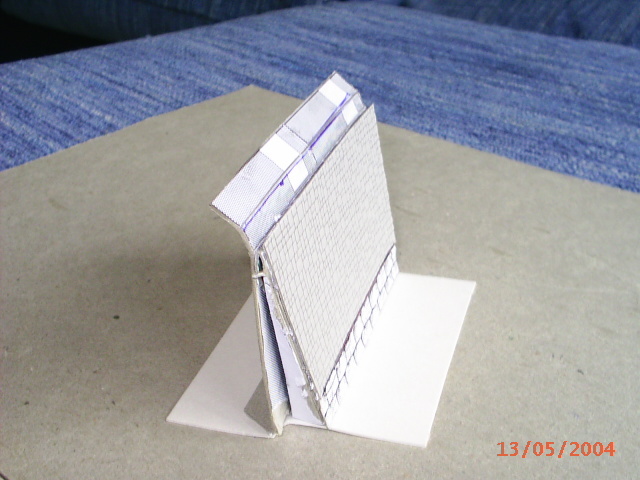 The total height of the curtain is 6 cm (2.4 in) and the scarp must have a slight slope, so two different pieces are required and must be placed as indicated in the attached scheme. 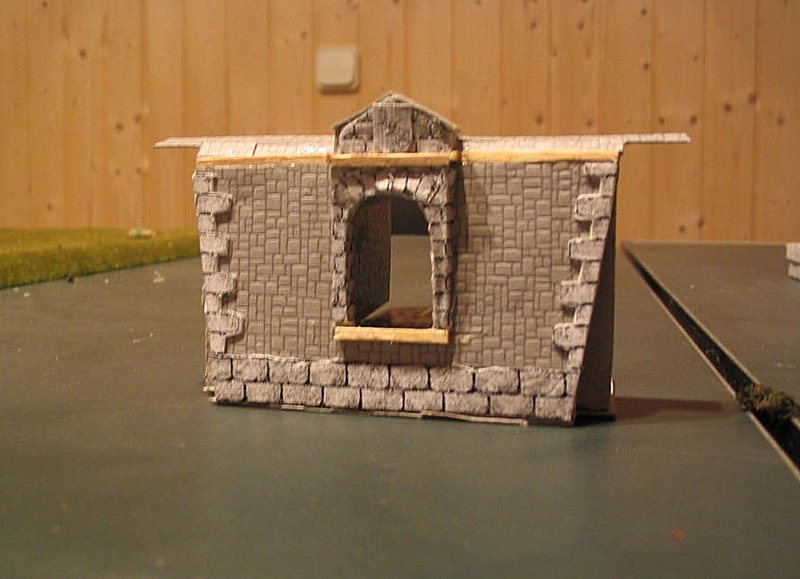 The bastion trace and the wall outlines are printed and then pasted on 2mm- carboard using white glue. 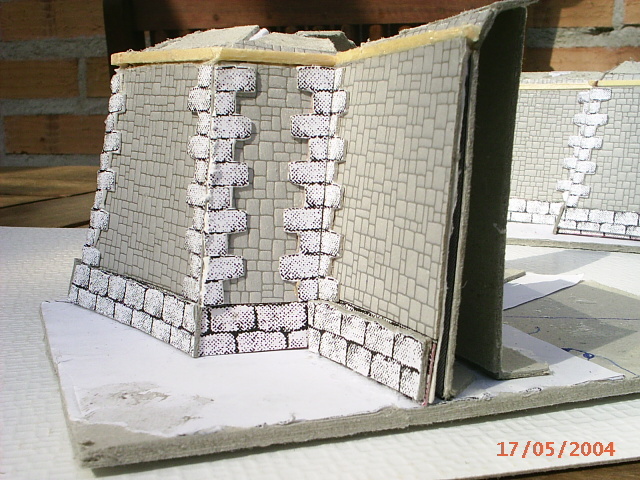 The foundations are pasted on the slope basis and covered with paper stones. 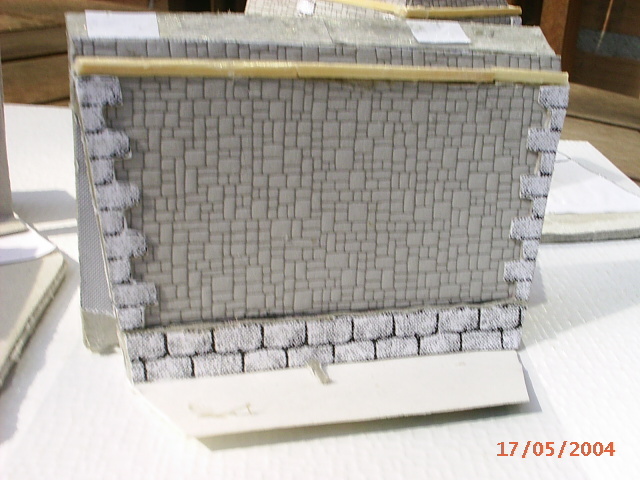 Then the sheet of stones covering the walls are also pasted. The fortress is made by joining all pieces. 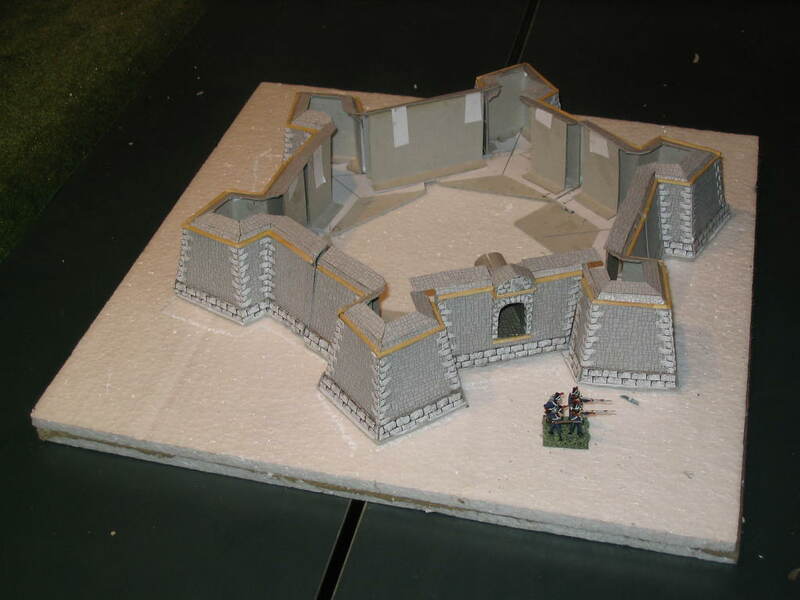 The "Age of Eagles Grognard" web-site has a tutorial about to build a Vauban fortress with a very different method. It is worth to pay a visit!